It was released last week that third-year center Christian Dvorak had surgery to repair a torn pectoral muscle and will be out indefinitely. 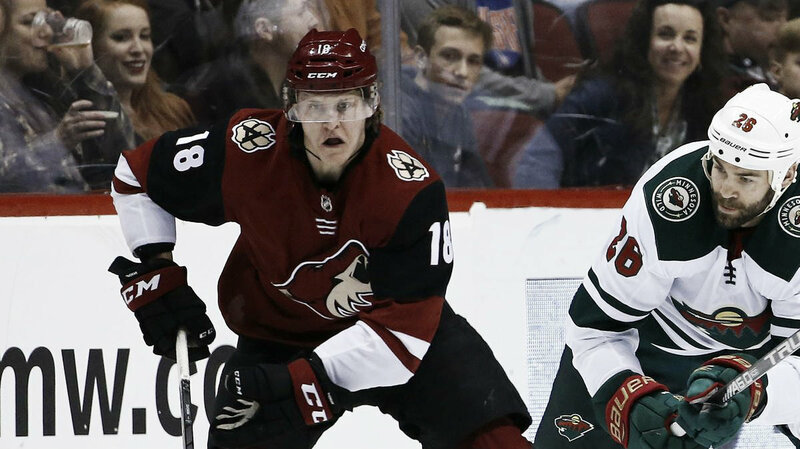 Just when it appeared as if the Arizona Coyotes were on the road to getting a full squad of players center Christian Dvorak suffered a freak injury when he tore a pectoral muscle while skating in practice. He required surgery and may be lost the entire season, but he is young and could recover sooner. Still, the Coyotes, who luckily were deep at the center position will miss his scoring (15 goals, with potential for more this season) and two-way play. Who could the team acquire to replace Dvorak? Free agency is a possibility, but beyond Rick Nash who hasn't stated that he's going to even play after suffering from concussions in recent seasons... what are their other options? 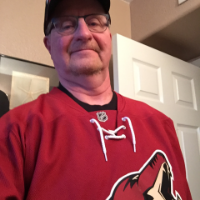 Everyone knows Coyotes' President of Hockey Operations/GM John Chayka is known for his bold trades and if anyone can resolve this hole at center ice, it's him. The budding star of the Toronto Maple Leafs must sign a contract before the December 1st deadline or must sit out the rest of the season. So, who might the Maple Leafs want if Chayka were to approach them with a trade possibility? It is well known that the Leafs want to improve upon their defense and none-other than Jakob Chychrun might be who they'd have interest in acquiring. Chychrun himself is still recovering from his second knee surgery and should be back in the lineup soon. He's already skated but has not been released to practice except under no contact until he is good to go. Other defensive possibilities the Leafs may have interest in could be Niklas Hjalmarsson or Jason Demers. The potential of a younger Chychrun has to intrigue the Leafs. Chychrun (20) is in his third year of his entry-level contract and it would be a fairly even trade for both teams. Again, don't dismiss Chayka's ability to pull the trigger on a trade to help his team. The one factor would be is he willing to give up on the talented Chychrun? Nylander signed a three-year $5.325 million contract in 2014 and is demanding more than what the Leafs can afford, especially when you consider they will need to open up their wallet for a local talent like Auston Matthews and Mitch Marner who both become restricted free agents after this season. It's no secret that Artemi Panarin is unhappy in Columbus (sounds like a country song...) and wants to be moved. While most experts have expressed that he won't be moved until the trade deadline in February he still remains as a possibility for the Coyotes to do some shopping. One can only imagine what an offensive star like Panarin would do to lift the meager Arizona offense into the next planet. Chayka has a history of making deals with the New York Rangers when he traded for Derek Stepan and Antti Raanta. Could he be looking to further that connection for one of these unrestricted free agents next summer? Simmonds is due to be a UFA and the Philadelphia Flyers may be interested in a defenseman the Coyotes have on their roster. He's a power forward, much like the style of departed captain Shane Doan, who was with the team his entire career. Simmonds could add some net-front presence and he's a tough guy to move if he's attacking your defensive zone. Of course, he's a right wing and the idea is to replace the injured Dvorak at center. The Coyotes need to fill the vacancy especially with the uncertainty of Dylan Strome's lack of performance since he was drafted third overall in 2015. This could be his opportunity to shine in the desert (which isn't hard to do with 325 sunny days a year) and he needs to go with it. He has shown some signs of improvement and actually has been leading the NHL in faceoff percentage, which is something to brag about. Nylander would be ideal, but something tells me he will eventually sign with the Leafs, and the Coyotes may miss out on a future talent who could star for years in Arizona. The other choices are acceptable, but with Chayka's reputation for the unknown anything can happen. It just needs to happen soon before this season becomes a desert wasteland like last season. In the meantime, let's all hope for a speedy recovery for Dvorak. He was just starting to get to that point where he is a valuable player and then this happened. On the bright side, Alex Galchenyuk may play tomorrow night in Columbus and that's got to put a smile on head coach Rick Tocchet's face. Let's see what the big 'G' has got... he could really be an offensive spark for the team this early season with just 11 goals in seven games. What do you think the Arizona Coyotes will do to solve their shortage at center? Trade? Free agency? Let us know in the comment section below, and make sure to give us a follow on Twitter (@VAVELNHL_ENG) for more updates!